Niveditha and Niranjani were in India for a short while visiting relatives and chose to volunteer at GMPS inspite of their tight schedule. This is what they have to say about their experience. Our first day volunteering at GMPS as part of SHLOK Foundation, we were greeted by a sea of smiles and a chorus of ‘Good morning, Miss!’. Our apprehension at teaching English to a classroom of 30 was forgotten in the face of the sheer enthusiasm and engagement we felt from the children. Over the week, we assisted in teaching the fundamentals of the language, such as the alphabet and the phonics, while simultaneously working through short stories and poems from the curriculum. The pupils were incredibly patient as we tried to communicate with our limited Kannada, and it was wonderful to see them help each other understand the meanings of the various texts we looked at, recite the poems they’d learnt, and proudly share their work with us. By the end of the week, we felt entirely invested in the children, hoping to help the very best students showcase their abilities, to build up the confidence of those who were still unsure of the basics. 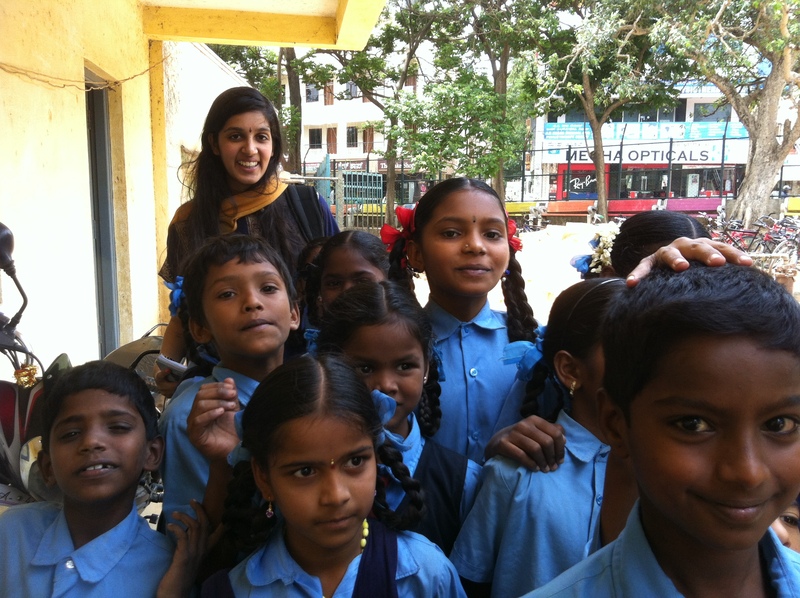 Thanks to Smitha for guiding us through it; we can’t wait to come back next year, and see how SHLOK Foundation’s incredible work continues to develop the students’ interests and allow these talented children to fulfill their potential. Posted on August 11, 2014 by shlokorg	• This entry was posted in Social service. Bookmark the permalink.